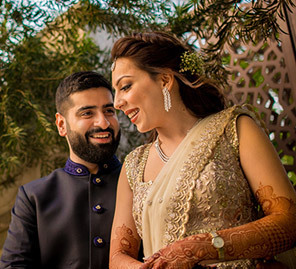 An English theme engagement, a Moroccan theme Sufi night and a beautiful wedding ceremony are woven into Anu and Tushar's wedding memories. Check them out here. 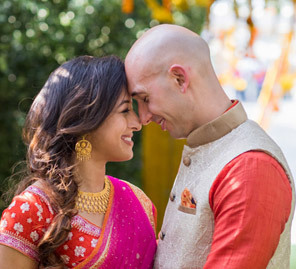 Anu and Tushar pulled off their lavish wedding celebrations in Mumbai which were beautifully planned by WeddingSutra Favorite - Knot Married and with the help of loved ones. 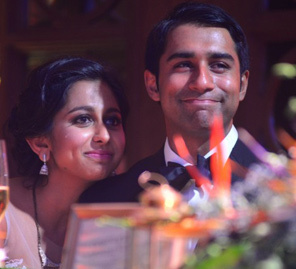 Their nuptials focused on elegant traditions with a dose of glamour for all the functions. 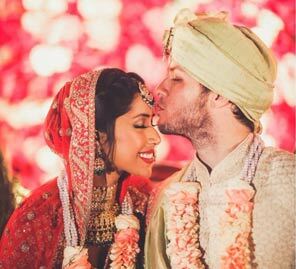 Here, the couple shares highlights of the memorable celebrations. “The engagement decor was based on an English theme where we used a lot of exotic flowers and flower canopies over the dinner tables. The seating featured a floral cabana with a lot of candles.” Anu looked gorgeous in a pink net lehenga by Tarun Tahiliani at this function. “The wedding setup was full of floral and royal structures. The mandap had a magical setting, with a magnificent Ganesha at the back overlooking the setting. On the other side of mandap, there was an amphitheater seating arrangement for the 11 pandits to sit and chant the mantras ” Anu looked resplendent in a red Tarun Tahiliani ensemble at this auspicious event.